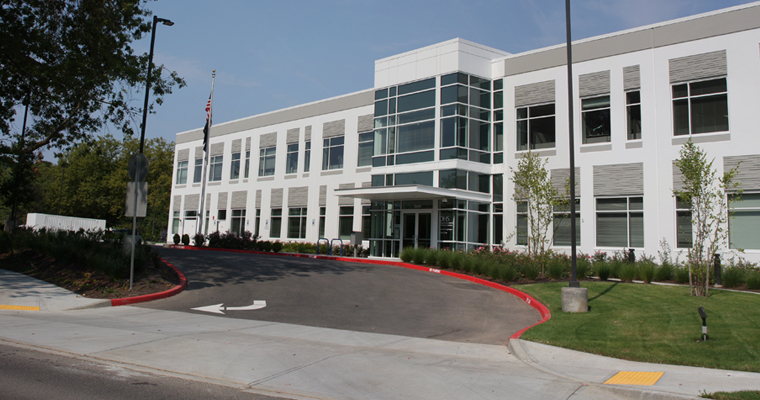 A spec office building in the Cornell Oaks office park is the new home for the Oregon Dept. of Human Services. This build-to-suit office building was commissioned by a private developer for the Oregon Department of Human Services. The 60,000 SF building spans two floors and is served by a 220-car parking lot with bicycle parking. Composed of private and open offices, training and conference rooms, and interview rooms, the building has a flexible design that will accommodate other uses and different tenants over time. LRS Architects designed the facility. 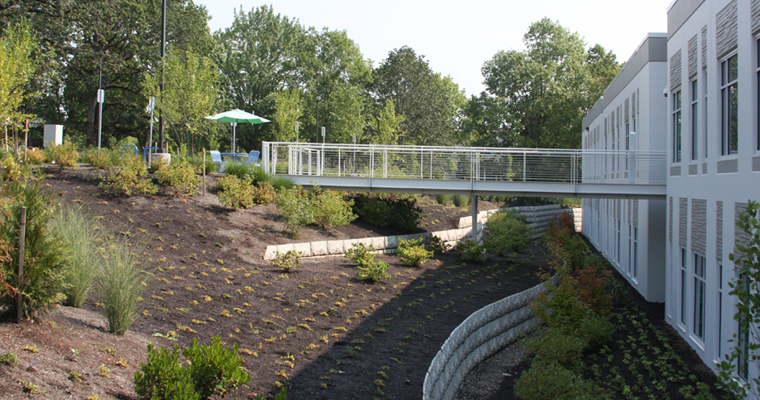 Located in the established Cornell Oaks Office Park, the site design embraces its sloped site and mature landscape. A pedestrian bridge spans a steep grade to connect the rear of the building to the main parking area. The landscape and detention planters in this area help filter site stormwater. An extensive system of catch basins and underground detention manages stormwater and is connected to existing storm lines. Offices for the Oregon Department of Human Services span 60,000 SF of offices, training and conference rooms, and support spaces. 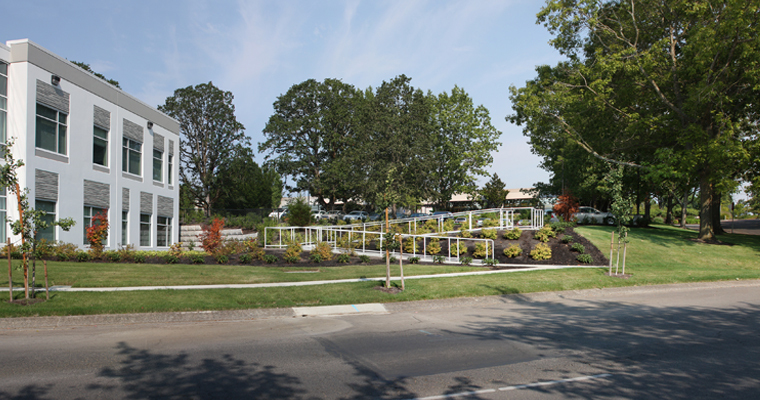 A suite of ramps traverses the sloped site to ensure full ADA access to building visitors and others in the Cornell Oaks Office Park. Retention walls, extensive landscaping and detention areas mitigate the flow of water across the site's steep slope.